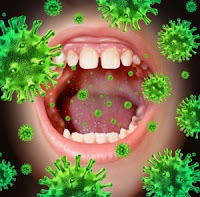 Dry mouth, or xerostomin is the result of decreased saliva production, which affects up to 60% of older adults. Saliva lubricates the mouth helping to prevent decay and protect tooth enamel. But don’t worry; there are plenty of ways to manage this condition. Dry mouth can be caused by a variety of reasons, including medications you may be taking, radiation or cancer treatments, smoking, immune deficiency, systemic diseases (such as Diabetes, Parkinsonís, Sjogren syndrome) or salivary gland aplasia. 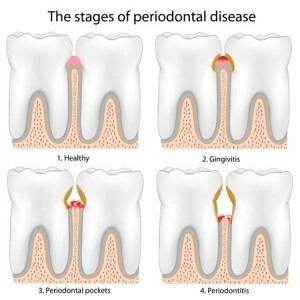 Periodontal disease is the leading cause of tooth loss in adults, with 75% of adults over 35 showing problem signs.What is often referred to as the silent mouth disease, initial symptoms can easily go unnoticed.Bacteria lives in plaque, which hardens over time and can cause gum irritations such as gingivitis. 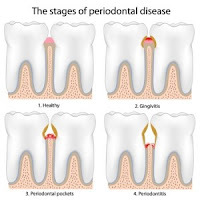 Left untreated, bacterial infections affect the gums, ligaments and bone supporting the teeth, and can enter the blood stream and may be related to other diseases such as Heart Disease and Diabetes.